Hyundai Creta is one of the popular models in the compact SUV segment. It is true that every SUV has some issues and there is no exception to Hyundai Creta. We will share some of the Hyundai Creta problems and share how you can resolve them. If you have any confusions about choosing your next car, visit motoruncle.com for getting a full report card of every car. It helps you make an informed choice while buying a new car. The price of Hyundai Creta is higher than the competitors (by at least Rs. 1 lakh to Rs. 1.5 lakhs). The customer fails to get superior features relevant to the price. The model fails to provide good pick up. It lacks features such as speed sensing door locking and the child lock is provided on the rear door only. 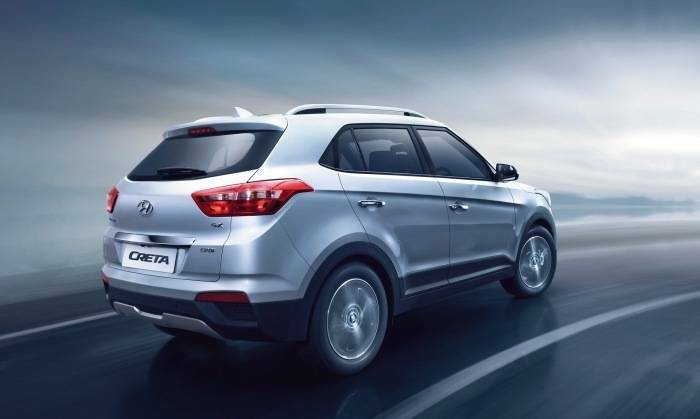 Hyundai Creta is ideal for customers who won’t mind in paying little extra due to its premium appearance. If you would like to enjoy good pickup, you can go for Hyundai Verna. The top-end Hyundai Creta MT is Rs. 1.1 costlier than Duster 2WD. The mileage delivered by Hyundai Creta Diesel is 17.01 kmpl. The vehicle comes with normal front disc brakes whereas Maruti Vitara Brezza manages ventilated disc brakes in the front portion. The mileage offered by Hyundai Creta in city roads is 13.01 kmpl and it is 17.01 kmpl on highways. The mileage offered by Hyundai Creta is 20.8 kmpl and 24.3 kmpl on city and highway roads respectively. Hyundai Creta lags behind Vitara Brezza in terms of mileage. Vitara Brezza delivers 24.3 kmpl. It takes 10.5 seconds for Hyundai Creta to jump to 100 kmph from 0 kmph. On the other hand, Maruti Vitara Brezza takes 12.36 kmph to reach 100 kmph from 0 kmph. Cruise control feature is useful for long drives. It reduces the driver fatigue and gives great comfort for all passengers. The position changing can be done very easily. The feature is useful for driving on highways and city traffic. You will not avoid speed limits when the cruise control mechanism is presented in your car. The cruise control mechanism is not presented with Hyundai Creta. Maruti Vitara Brezza offers cruise control mechanism so that you can make the most of your investment. The front seat belt height adjustment is not available with Hyundai Creta. Maruti Vitara Brezza has height adjustable front seat belts. Hyundai Creta lacks automatic headlight option as well. The rain sensing system will adapt to heavy rain or snow automatically. The wiper speed will increase automatically as per the intensity of the rain. If rain sensing system is present in your vehicle, you can focus on driving and there will be a little strain. Hyundai Creta lacks the rain sensing feature. Maruti Vitara Brezza presents the feature even though the price of the car is less than Hyundai Creta. The rear seating is spacious enough for 2 adults and it will be difficult to accommodate 3 adults. For the same money, you will get 3 seat rows from competitors. No airbags are provided in Creta L and S models. One of the solutions to this Hyundai Creta problems is to take advantage of the safety issues, you should go for Creta S Plus. The body roll is evident even though it is negligible. The body of the vehicle is made with high strength materials. However, it is not sufficient enough to keep the vehicle in a well-balanced position during steep turns. If you compare to other SUVs, one of the Hyundai creta problems could be its not so sturdy body. Renault Duster fares well in this respect and it gives great maneuvering capabilities. Hyundai Creta has to improve in this direction as the handling should be absolutely fine to serve the needs of adventurers. Hyundai Creta fails to offer all-wheel drive. Most of the cars have 2WD (2 wheel drive) and it is sufficient to manage rain and light snow conditions. For performance cars, RWD (rear wheel drive) is the preferred option. If you go for AWD or 4WD, there will be a considerable addition of weight to the body. Hence, there should be a compromise on the fuel-economy. If you would like to go on an adventure, there should not be any compromise on the traction. Duster and XUV500 are better options in this direction. Don’t get confused while buying a new car, just head to motoruncle.com and get report card for every model.